When they were children, Sean Devine, Jimmy Marcus, and Dave Boyle were friends. But then a strange car pulled up to their street. One boy got into the car, two did not, and something terrible happened -- something that ended their friendship and changed all three boys forever. Twenty-five years later, Sean is a homicide detective. Jimmy is an ex-con who owns a corner store. And Dave is trying to hold his marriage together and keep his demons at bay -- demons that urge him to do terrible things. When Jimmy's daughter is found murdered, Sean is assigned to the case. His investigation brings him into conflict with Jimmy, who finds his old criminal impulses tempt him to solve the crime with brutal justice. And then there is Dave, who came home the night Jimmy's daughter died covered in someone else's blood. 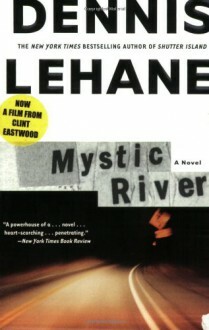 A tense and unnerving psychological thriller, Mystic River is also an epic novel of love and loyalty, faith and family, in which people irrevocably marked by the past find themselves on a collision course with the darkest truths of their own hidden selves.